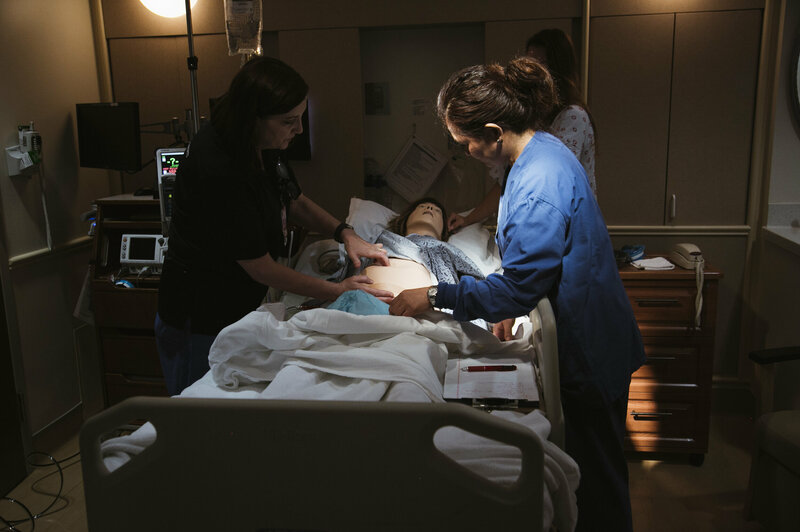 Using a mannequin to simulate dangerous scenarios, a team at Pomona Valley Hospital Medical Center learns standard treatments for obstetric emergencies like hemorrhage. Complicated, high-risk deliveries in the United States often end tragically. An American woman is three times as likely to die from childbirth as a woman in Canada and six times as likely as a woman in Scandinavia. It's a story NPR and ProPublicahave heard repeatedly in the past year while investigating the startling rate of maternal death in America. The state is leading the charge to reverse the nationwide trend: Since 2006, California has cut its rate of women dying in childbirth by more than half. And it's a state whose impact could make a big difference: One in eight infants born in the United States is born there. "It was unexpected and disturbing, very disturbing," recalls Bingham, now the executive director of the Institute for Perinatal Quality Improvement. "We needed to understand and really dig into why." Soon Bingham was tasked with bringing together key players to dig in: nurses, doctors, midwives, hospital administrators and other officials. Together, they launched a statewide effort to keep as many mothers as possible alive — and to understand why so many were dying in the first place. To understand that, you've got to go back more than 60 years. 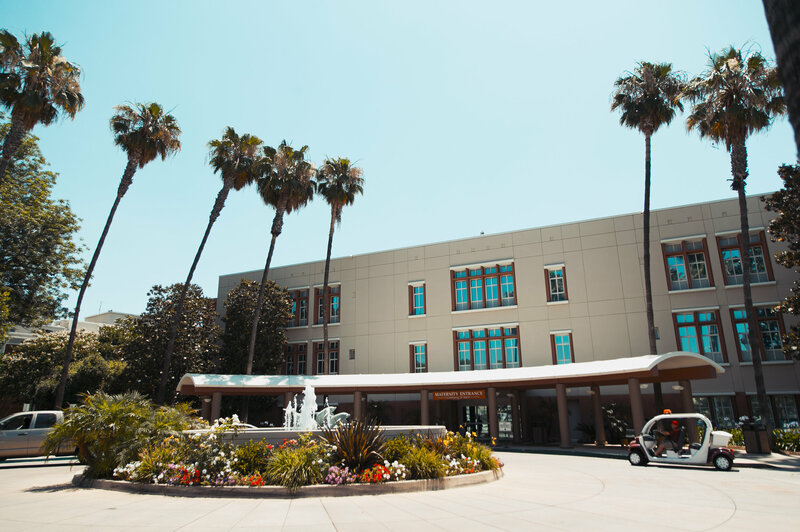 Pomona Valley Hospital Medical Center, a member of the California Maternal Quality Care Collaborative, is one of the state's largest birthing centers, delivering over 7,000 babies a year. "The Journal takes pride in announcing that for the first time in history the maternal mortality rate for a large nation — the United States of America — has been pushed slightly below the apparently irreducible minimum of one maternal death per 1,000 live births," an editorial proclaimed in an issue that year. "There was this premature declaration of victory," says obstetrician William Callaghan, chief of the Maternal and Infant Health Branch in the Division of Reproductive Health at the Centers for Disease Control and Prevention. Callaghan says that after the medical community declared victory, there was a shift in focus. "Into the late '60s and really through the '70s, the technology of being able to care for the fetus became huge," Callaghan says. "People became really enchanted with the ability to do ultrasound, and then high-resolution ultrasound, to do invasive procedures, to stick needles in the amniotic cavity, and everything did revolve around the baby." As the focus turned from mothers to babies, the trend lines for both diverged. Infant mortality is now at a "historic low," while the maternal mortality rate has continued to rise in recent years. Of the 700 to 900 maternal deaths each year in America, the CDC Foundationestimates that 60 percent are preventable. That's because, as NPR and ProPublica have reported, the American medical system still prioritizes infant survival over maternal care. It approaches childbirth with the assumption that most women who give birth will be fine. For the minority of women who won't be fine, there needs to be a plan in place, says Debra Bingham. She, along with obstetrician Elliott Main and others, sought to create one. They helped found the California Maternal Quality Care Collaborative in 2006, where Main says a newly formed maternal mortality review committee was able to access details — for the first time — on how every mother had died over the previous five years. Pomona Valley Hospital Medical Center staff run through a hemorrhage drill with a mannequin. "It became very clear that there were cases in which, if care had been performed differently, there would have been a high likelihood of better outcomes," says Main, who is the medical director of the collaborative and a clinical professor of Obstetrics and Gynecology at Stanford University. "The analogy would be if you had a cardiac arrest and everyone had their own way of doing CPR," Main says. "We've made big advances in emergency care by having some basic standardized approaches to emergencies. That's what we're bringing to maternity care now." Maria Hellen Rodriguez runs drills at Pomona Valley Hospital Medical Center to simulate real obstetric emergencies, so standard approaches become "muscle memory" to hospital staff, she says. About an hour east of Los Angeles, the hospital is one of the state's largest birthing centers, delivering more than 7,000 babies a year. 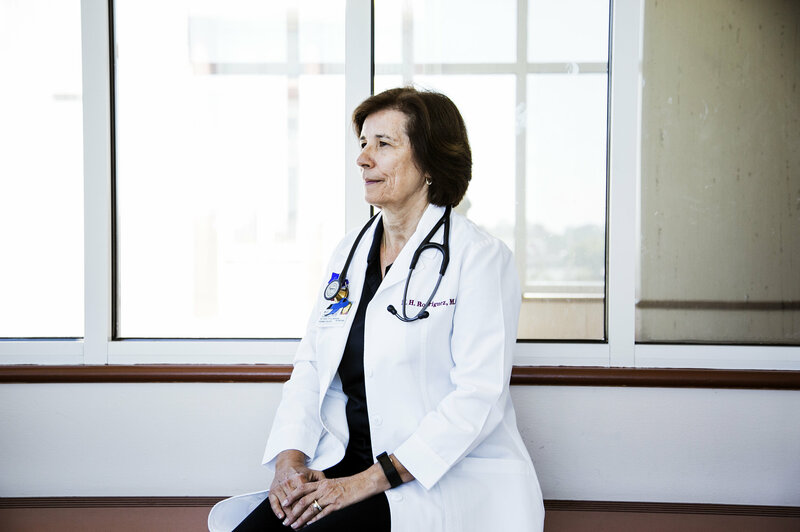 "Every single woman is at risk for hemorrhage if they are going to deliver," Rodriguez explains. The idea that every woman is at risk is a new thought in the world of obstetrics. Preparing for the worst-case scenario, Rodriguez says, is key to saving mothers. "You need to make sure that you can work [it] into your muscle memory. So it happens every time you take care of a patient," Rodriguez says. 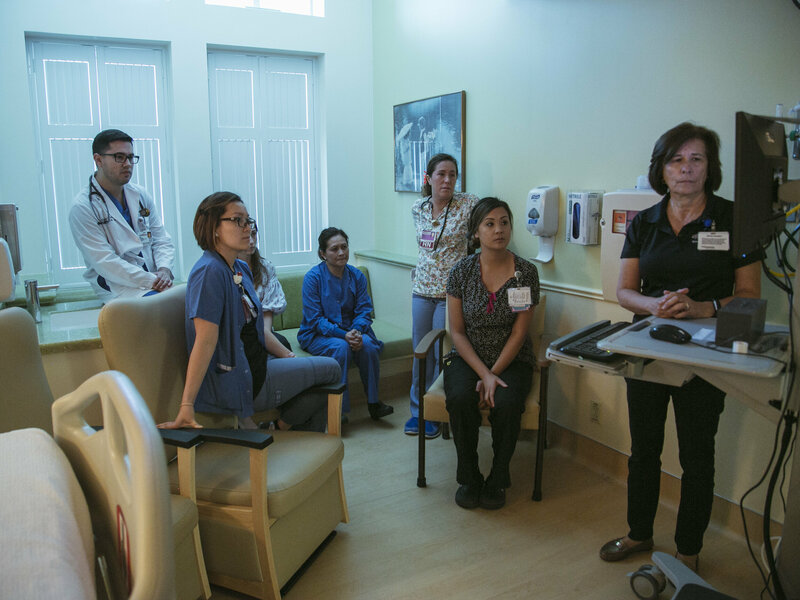 Hospital staff at Pomona Valley Hospital Medical Center review video footage of an emergency drill performed on a medical mannequin. For an obstetrical hemorrhage, that toolkit is a cart — not unlike a crash cart used for cardiac arrest. Red, with five drawers on wheels, the hemorrhage cart is filled with every kind of equipment a team of doctors and nurses may need in an emergency: things like a checklist, an IV line, oxygen masks, a special speculum and a Bakri balloon, which, when inserted into the uterus, puts pressure on blood vessels. And, for measuring blood that is lost: sponges and pads. Traditionally — and in many hospitals still — nurses and doctors estimate the amount of blood lost by sight. The team working in Rodriguez's drill gathers the sponges and pads collecting blood and weighs them on a scale. They know how much these items weigh when dry. Once they subtract the dry weight, they can more accurately gauge how much blood has been lost. 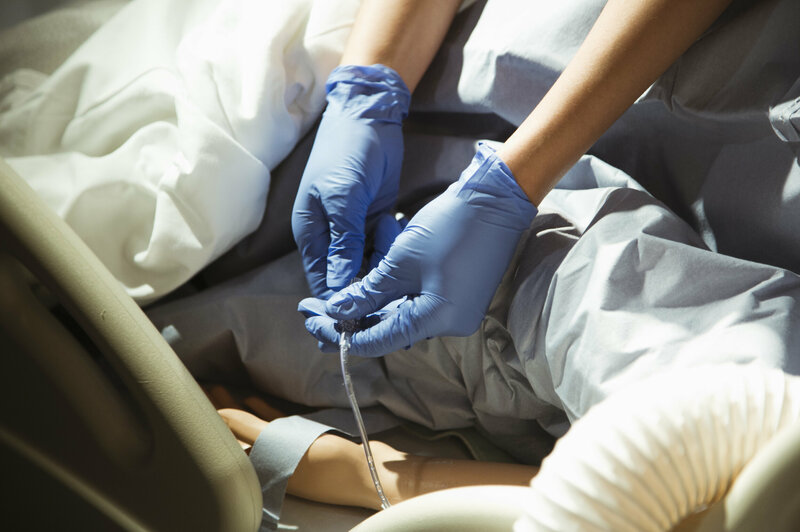 Hospital staff at Pomona Valley Hospital Medical Center practice strategies that can improve outcomes for women who hemorrhage during or after giving birth. Even though she had had five previous C-sections, Cayti Kane had never heard of placenta accreta before she was diagnosed. She also didn't know that each repeat C-section increased the chance that she would develop the condition. In placenta accreta, scar tissue on the uterus from previous surgeries can allow a placenta from a new pregnancy to grow through the uterine wall, which can lead to hemorrhage. The disorder used to be exceedingly rare in the U.S. In the 1950s, it appeared in one in every 30,000 births. Today, placenta accreta appears in one in every 500 births. Its rise has coincided with the rise in C-sections, the rate of which is six times what it was 50 years ago. Today, 1 in 3 babies is born via C-section. A woman having her sixth C-section — like Kane — has a much higher chance of developing placenta accreta. "If I had known that this was a possibility, there's no way I would have ever done this," Kane says. "There's no way I would have put my life at risk and risk my children losing their mom." Cayti Kane was diagnosed with placenta accreta, a dangerous complication. But Pomona Valley Hospital Medical Center was prepared and two weeks later, Kane delivered a healthy boy via C-section. It was by chance that Kane ended up at Pomona Valley Hospital Medical Center. She lives in Apple Valley, Calif., in the high desert and more than an hour's drive away. 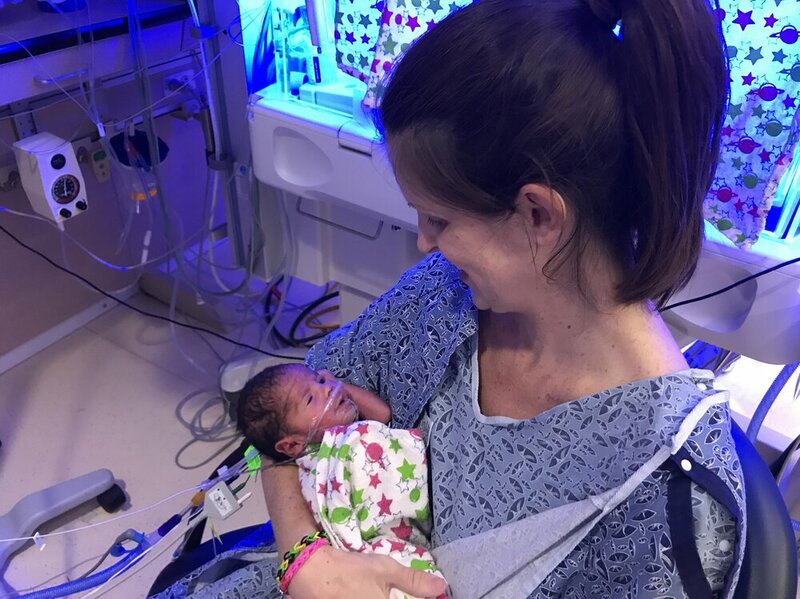 At 30 weeks pregnant, she went into pre-term labor, and when she arrived at her local hospital, her regular doctor was out of town. In what Kane calls an "extremely good decision," the on-call doctor transferred her to Pomona Valley, because of the risks associated with her five previous C-sections. Pomona Valley was prepared for her delivery. But just as important, the small, rural hospital where Kane delivered previously — also a member of the statewide collaborative — was quick to identify a problem it was not prepared for and send her to one that was. At Pomona Valley, Rodriguez immediately diagnosed Kane with placenta accreta. Two weeks later, Kane delivered a healthy boy via C-section. When, as expected, she hemorrhaged, she was surrounded by a team able to handle it. From 2006 to 2013, the maternal death rate in California fell 55 percent. These protocols — the checklists, carts, drills and teamwork — have not only saved women from dying, but they have also dramatically reduced the rate of women who nearly died. A study in the American Journal of Obstetrics and Gynecology found hospitals that signed up to implement the toolkits lowered the rate of severe maternal morbidity due to hemorrhage by nearly 21 percent. In hospitals not participating, that rate dropped by just over 1 percent. As of June 2018, 88 percent of California's birthing hospitals have joined, accounting for 95 percent of all the births in the state. NPR's Meg Anderson and Barbara Van Woerkom and ProPublica's Nina Martin contributed to this report.